Nitric oxide is a biological gas, which produced by the human body to assist the various physiological functions. Our body cells need an adequate amount of nitric oxide to do the body functions in an optimal way. People performing rigorous activities like body builders or people doing workouts require more nitric oxide as it promotes blood flow and muscle development. Deficiency of this gas in our body can lead to fatigue. In our body, nitric oxide can work as a neurotransmitter, intracellular messenger, and a neurotransmitter. It is produced in our body by the breakdown of amino acid arginine. You can get the excess nitric oxide needed by the body from the nitric oxide supplements, which contain arginine. 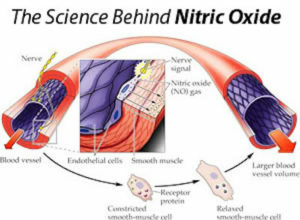 Nitric oxide plays an important role in regulating the blood flow in your body. It expands the blood vessels and prevents blood clot formation. This will help in increasing the amount of oxygen in the body. It also reduces the blood pressure level and helps the heart to function optimally. You will be able to continue your activities for a longer period with better oxygen supply to the cells. Nitric oxide supplements relax the blood vessels and increase the blood flow to the skeletal muscles. The increased nutrient availability, in turn, increases the lean muscle development. Your endurance level increases and you will be able to lift weights and do strenuous exercises with ease and for an extended period. Most of the people find it much challenging to lose their weight. There are several ways to lose weight, but the most simple way to shed out extra kilos is to consume zero calorie food. This Infographic beautifully explains about how zero calorie foods help you to reduce your weight. You can even find negative calorie foods and various tips to reduce your weight. Everyday we read about the evils of processed foods, but it’s really the ultra-processed food that we need to be concerned about. Processed foods with 1 to 3 ingredients aren’t likely to cause harm, it’s the products with 10 to 20+ that should cause alarm. Michael Pollan and Michael Moss Give us an interesting tour of the grocery store in this video. Pretty crazy that yogurt companies have to compete to put the most sugar in their products! I guess unless we work in the food industry, we have no idea how cutthroat it really is. I will occasionally eat ultra-processed food, but as a general rule I try to avoid it 99% of the time. It is difficult for many since so much of the supermarket is full of this type of food. Do you eat ultra processed foods? What strategies do you use to avoid it? During the holiday weekend, I’m always invited to a potluck barbecue. But no matter which part of the meal I’m assigned to bring, the end result is always a no-fail dish and a string of ooohs and ahhhs by other guests. Here are some helpful tips and healthy recipes. Complicated or soggy dishes like soups, sauces, or soufflés can get VERY messy when traveling. But if that’s your assigned food, wrap the container several times in plastic wrap just in case it leaks. I also like to have the passenger hold the dish during a car ride to be on the safe side. When traveling with a green salad, add the dressing right before serving in order to avoid soggy leaves. If you do choose a hot dish, check ahead with the host if they have extra oven space or if you can grill your goodies right before serving. That can save you time at home plus the food will taste better freshly cooked. Always keep time and temperature in mind. If food sits out over 2 hours at room temperature it can potentially make folks sick. Food should travel in the air conditioned area of your car and not in a hot trunk or roof. High-risk foods like tuna salad, sliced fruit or raw meats should be kept on ice, especially if you’re traveling an hour or more. Raw meats and poultry should be kept in a separate cooler from any ready-to-eat foods (like salads). Separate utensils and platters should be packed to avoid cross-contamination. Wishing you a happy and healthy Fourth! TELL ME: What’s your favorite dish to bring to a July 4th potluck? Just the word “burrito” conjures up thoughts of high-calorie, high-fat fare that has no place on a blog about healthy eating. But, burritos should, quite frankly, be a staple on every healthy menu. It all depends what you stuff inside that tortilla. First, choose your wrap — there are so many healthy wraps to choose from: regular flour, whole-grain, low-carb and even wheat-free tortillas made with grains like quinoa. Next, you can choose a bounty of fresh and wholesome ingredients to cram inside before you roll up. Burritos aren’t deep fried and not necessarily baked (though you can bake them as I’ve done below). That means they make quick and easy meals for any day of the week. In fact, I often make burritos with leftovers from the fridge (cooked rice, veggies, fresh salsa and cooked chicken or steak). I like baking my burritos because it melts the cheese and lightly toasts the tortilla, giving the outside a bit of a crust and a lot more flavor. This recipe below is the perfect starting point for all future recipes. Swap out or add your favorite veggies, chicken, shrimp, tofu or steak. You can also change up the beans; pinto, navy and white beans are good too. Lastly, you can skip the baking part too – for warm tortillas, simply heat them in the microwave for a few seconds. Have fun! Note: To save time, I used Uncle Ben’s brown basmati rice that cooks in just 90 seconds. Heat the oil in large skillet over medium-high heat. Add the onion, jalapeno and garlic and cook for 3 to 5 minutes, until the onion is soft and golden. Add the cumin, chili powder, salt, and pepper and stir to coat. Add the carrots, zucchini and corn and cook for 3 minutes, until the vegetables are tender. Stir in the beans, rice and picante sauce and remove from heat. Arrange the tortillas on a flat surface. Spoon and equal amount of the vegetable filling onto each tortilla (right down the middle). Top the filling with the cheese (2 tablespoons each). Roll over one side of the tortilla to cover the filling. Fold in the ends and then roll up completely. Arrange the burritos, seam side down, on the prepared baking sheet. Bake for 6 to 8 minutes, until warm and golden. Top each burrito with sour cream and cilantro before serving. The most important meal of the day can often be the most hurried, which is why so many of us look to reach for something healthy and fast. But breakfast foods can be deceiving — when choosing a quick grad-and-go breakfast, watch out for these 7 foods. Some folks assume that you can’t go wrong with anything “bran” but many packaged and fast-food bran muffins tip the scales at over 440 calories and 15 grams of fat each! A down-sized homemade version is the way to go. There’s no disputing that oats are good for digestion, curbing appetite, and heart health but that can be over-shadowed by the sugar and preservatives found in most packets of flavored instant oatmeal. Get plain (even instant is fine) and flavor it up yourself. Is your favorite smoothie a cool blend of fruit and yogurt or an over-sized, sugar-laden concoction of junk? With all the different versions of smoothies available, it’s easy to choose the wrong one. Whether you hit up a smoothie shop or opt for a bottled version – stick to a sipper with fresh ingredients and 300 to 400 calories, max. Just about every cereal on the shelves touts its whole grain content – including sugary kids’ cereals. Inspect ingredient lists for whole grains at the top of the list and sugar further down the line. Breakfast sandwiches are one of the most popular grab-and-go breakfasts. But if you’re hitting up the drive-thru or tearing open a box from the freezer section, prepare to down more than one-third of your sodium for the day. Then sift through the staggering list of ingredients, most of which are impossible to pronounce. If you’re willing to take 5 minutes (literally, that’s it takes) to make your own, you’ll end up with a healthy, quick and hand-held breakfast. Here’s a classic example of how not all frozen foods are created equal. While there are some waffles made with decent stuff, others are an ingredient nightmare. Refined flours, processed oils and preservatives galore! Pay close attention, many brands, especially those marketed to kids, should be avoided. Instead, make an extra batch of homemade waffles on a weekend and freeze the leftovers for busy mornings. Granola walks a fine line between healthy breakfast and belly buster. Sweeteners like corn syrup, rice syrup and honey, tossed with high-calorie dried fruit, nuts, seeds and oils translates to 250 to 300 calories and 13 to 16 grams of fat per ½ cup serving (basically a handful). Chose brands carefully and keep portions humble. With berry season in full swing, nothing beats a bowl of sweet, in-season fruit for dessert. Growing up, berries and Cool-Whip or whipped cream was a staple treat in my house. As an adult I’m not able to eat dairy, but still want to enjoy the classic combination. Here’s a fun, healthy upgrade to a traditional whipped cream that you’ll love. It’s bursting with rich, creamy flavor, is dairy free and added sugar is optional. Place an unopened can of coconut milk in the refrigerator, upside down (the cream settles to the “top) overnight. Turn the can upright and open it without shaking it. Spoon the top layer of white, opaque “cream” into a mixing bowl. You will be left with ½ cup of clearish liquid in the bottom…save it and add to a smoothie, yum! Add sweetener, to taste (if you must). Use a hand mixer to whip up the coconut milk until creamy. Start on low and move to a higher speed. Move the mixer in an up and down motion to incorporate air, which will make the whipped cream fluffier. Serve immediately or store in an airtight container in the refrigerator until ready to serve. Yes, sautéed spinach is fabulous. Kale chips are fun. A crisp Romaine salad is especially refreshing on a hot day. But the health benefits of leafy greens are numerous, and to eat more of them you’ll have to think outside the produce box and get creative with those nutrient-dense leafy greens. Check out these tips for a variety of greens, including bok choy, mustard greens, chard, kale, spinach and beet greens. • Add chopped or sliced greens to spring and summer soups for the last 30 seconds of cooking. • Drizzle warm balsamic vinaigrette over green leaves to wilt (warm the vinaigrette in the microwave). • Fill steamed leaves with fresh mozzarella cheese and slices of fresh tomato or roasted red peppers and roll up; drizzle with olive oil before serving. • Stuff leafy greens into breakfast sandwiches (egg, cheese and ham with whole grain bread, bagels or pita pockets). • Top whole-grain tortillas with tomato sauce, shredded greens and shredded mozzarella cheese; bake in a 400 degree oven for 6 to 8 minutes; top with Parmesan cheese just before serving. • Add chopped greens to cheese fillings for lasagna, baked ziti and homemade ravioli, or stir the leaves into tomato sauce and warm for a few minutes before serving. • Add chopped greens to scrambled eggs, omelets and quiches. • Stir chopped greens into fried rice dishes for the last few minutes of cooking. • Add chopped leaves (and the stalks of bok choy) to Asian-inspired stir fries. • Stuff greens into whole roasting chickens before cooking. • Add chopped greens to braising liquids for chicken, beef and pork for the last 5 minutes of cooking. • Add shredded greens to cole slaw mixes. • Nestle shredded greens into tacos instead of lettuce. • Stuff softened spring roll wrappers with shredded greens, rice, shredded carrots, green onions and cilantro before rolling up; serve with soy sauce for dunking. • Pound chicken breasts until 1/2-inch thick; spread herbed cheese over chicken and top with chopped greens; roll up, secure with a toothpick or two and bake at 400 degrees for 20 minutes, until the chicken is cooked through. This party-perfect recipe is a great replacement for traditional mayonnaise-based salads; it gets its creamy texture from dairy-free yogurt. The fresh carrots, grapes and tarragon give this salad an exciting, fresh taste. Gluten-free pasta makes it gluten free, of course, but if you don’t have a sensitivity, any pasta will do. In a large mixing bowl, combine the cooked pasta with remaining ingredients; gently toss. Transfer to a serving bowl and serve chilled. One of the most difficult barriers dieters face are folks who try to sabotage their weight loss efforts. These are the folks who will shove an over-sized piece of cake in your face at a party or insist on having fried food at every meal. Every dieter faces them; your best defense is to be prepared. Those sweet little ones can be a dieter’s worst nightmare! Yelling for candy at the check-out aisle or insisting on eating chicken nuggets at every meal. Oftentimes you end up giving into their whining for processed foods and end up becoming the garbage disposal for their leftovers. Your best defense: Both adults (dieting or not) and kids should be eating fruits, veggies, whole grains, lean meats and low-fat dairy foods. There are many deliciously healthy recipes that everyone can enjoy; get the kids in the kitchen to help choose and prepare healthy recipes and the whole family will benefit. There’s always one office pal who brings in the basket of baked goodies, insisting on watching you eat it. Then there are office-mates who go in groups to pick up the latest fancy coffee drinks, some with no less than 350 calories a pop. And if you try and explain that you’re watching your weight—that’s the center of conversation for the next 2 weeks. Your best defense: Stick to your guns (and your plan)– overcoming office buddies is all about mind over matter. Some friends let jealously get in the way. Although they’ve been supportive when you were having a bad day, they can’t stand the fact that you’re losing weight and becoming healthier. They insist on lunching at the fattiest restaurants in town and guilt you into splitting a huge appetizer or dessert. Your best defense: Get them to join in on your weight loss efforts or consider dropping them along with the weight to become emotionally and physically healthier. You love your spouse, but they can just be mindless when it comes to your weight loss efforts. Instead of the gallon of nonfat milk and whole grain cereal on your shopping list, they come home with bags filled with whole fat milk, sugary cereals and everything else you’re trying to keep out of sight. Your best defense: Team up with your spouse and get healthier together. I love my grandma, but she’s always telling me to eat more and to put on more lipstick (not necessarily in that order), shoving chocolate kisses in my mouth every 10 minutes. And if your grandma’s cooking anything like mine, you just can’t resist her high-fat signature dish. Your best defense: Keep your relationship with grandma to phone calls and video chats while trying to lose weight. And when you do share a meal together, split a serving of grandma’s best dish with a relative. TELL US: Who do you find are the worst people for your diet?